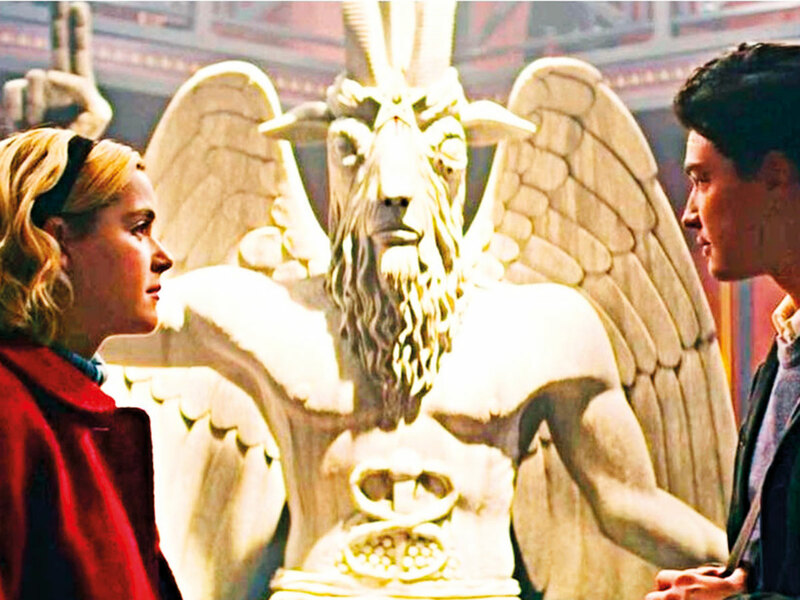 The Satanic Temple has settled its copyright lawsuit against Netflix Inc and Warner Bros Entertainment over their alleged misuse of its goat-headed statue in the series Chilling Adventures of Sabrina, a Warner spokesman confirmed. The settlement was amicable, and resolves a November 8 lawsuit in which the Satanic Temple had sought at least $50 million (Dh183.6m) of damages. It complained that Sabrina misappropriated its statue ‘Baphomet with Children’ in a manner implying that it stood for evil, and that the depiction hurt its reputation. Netflix distributes and Warner Bros produces the series, which stars Kiernan Shipka as the teenage half-witch, half-human title character. The series is based on the Sabrina comic book series from Archie Comics.